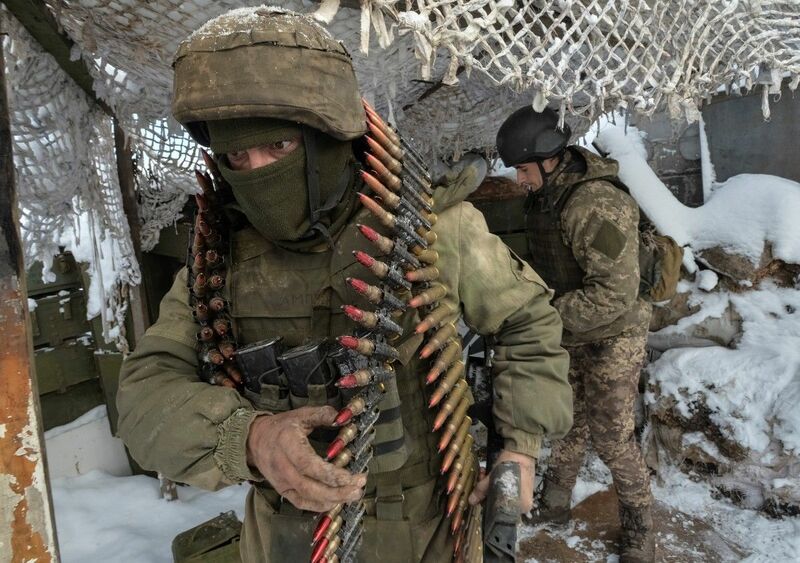 Russia's hybrid military forces attacked Ukrainian army positions in Donbas 17 times in the past 24 hours, with one Ukrainian soldier reported as killed in action (KIA) and another three as wounded in action (WIA), according to the press center of the Ukrainian Anti-Terrorist Operation (ATO) Headquarters. "In the Luhansk sector, the enemy fired 120mm mortars, heavy machine guns and small arms near the village of Troyitske in the daytime. In the evening, the militants used grenade launchers of various types, against the Ukrainian fortified positions near the villages of Krymske, Lobacheve, Valuiske and Novo-Oleksandrivka, as well as small arms near the villages of Luhanske, Zaitseve and Stanytsia Luhanska," the report says. Read alsoMilitants in Donbas attack Ukraine 27 times on Dec 6, use tanks, mortarsIn the Donetsk sector, the hot spot was outside the town of Avdiyivka. Here, the Russian occupation forces repeatedly opened fire from 82mm mortars and the entire range of light infantry weapons. "The invaders used grenade launchers and small arms to attack Ukrainian troops stationed near Butivka coal mine and the defenders of the town of Maryinka and the village of Shyrokyne," the ATO HQ said. In addition, flights of enemy UAVs banned by the Minsk agreements were spotted near the towns of Schastia and Maryinka.